Have you had any concerns about an older person falling, or being at risk for a broken hip? A new clinical research study relevant to millions of older adults was just featured in the news. So, if the person you care for has a diagnosis of hypertension, and if you’ve had any concerns regarding falls or near-falls, these study results should be of interest to you. In this post, I’ll review the key results of this study. Then I’ll tell you what I think are the most important practical take-aways for family caregivers. This post will also include some practical tips to help you minimize the risk of your loved one experiencing a serious fall. To be included in this “real-world” study, the patients had to have a diagosis of high blood pressure, they had to be living at home or in assisted-living, and they had to be in Medicare fee-for-service (no Medicare Advantage patients). Overall, 9% of these older people experienced a serious fall injury. The researchers also found that in those people who’d had a serious fall injury within the previous year, being on BP medication was linked to an especially high chance of another serious fall. I consider this study very important, because most clinical research focuses on benefits of medication, rather than studying the potential harms and downsides of medication. It’s probably not a coincidence that the main author is a geriatrician; we tend to feel that a little goes a long way when it comes to medications in aging adults! Serious falls are a fair possibility in all older adults aged 70+. Over 3 years, 9% of these Medicare patients had a fall involving a fracture, a dislocation, or a brain bleed. It’s probably reasonable for you to assume that your loved one has at least a roughly 10% chance of a serious fall within a few years. This risk is higher if your loved one has already had a serious fall. Consider learning practical approaches to reducing fall risk in your loved one. Along with learning to be careful with medications, there is lots more that you can do! Visit our fall prevention topic page to see all our articles on this topic. Home sensors and/or a personal emergency response system can help alert a care circle when an older person falls. Be careful if your loved one’s BP is often below the new recommended target of 150/90. Read “What the New Blood Pressure Guidelines Mean for Older Adults” for more info. 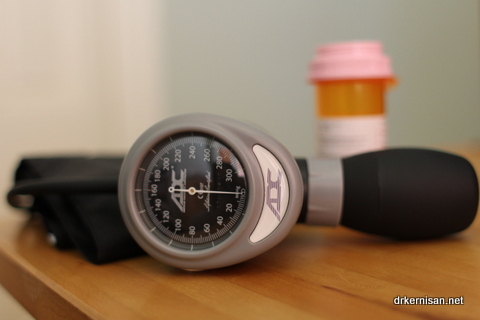 Ask the doctors to help you understand how much benefit to expect from the BP treatment. Note that often the expected chance of benefit (e.g. avoiding a stroke or heart attack) is about the same as the risk of harm that was found in this research study. Seniors who’ve had a previous serious fall are at extra high risk. Be extra careful about blood pressure and over-treatment if your loved one has already had a serious fall. These are the older adults for whom it’s most important to make sure that they aren’t on more medication than is absolutely necessary. Know that in general, the most benefit from treating high blood pressure in seniors comes from getting a systolic blood pressure (SBP; that’s the top number that a monitor reports) from 170 or higher, down to 140s-150s. Once elderly people are treated to a SBP below 140, the chance of harm can easily become bigger than the chance of benefit. Do you have any questions about how to reduce the chance of falls and injuries in aging adults? Please post them below in the comments section. A retired doctor friend of mine sent me your recent article about blood pressure meds, falls, and seniors. I am an 85-year-old woman and recently went off Losartan because I couldn’t take the side effects, including falling when I awoke at night. (I’d previously gone off other BP meds because I couldn’t take the side effects.) Since I went off Losartan, for unexplained reasons, my BP has been in the acceptable range. But I am concerned that my BP cuff at home and those I use at the Y and the supermarket may not be accurate. You recommended in your article that one get a good BP cuff. What do you recommend? Sorry to hear you experienced falls; I hope those are better now that you’ve changed your medication. If you have a BP monitor already and are concerned about its accuracy, you may want to start by bringing it to your doctor’s office. You can ask the staff to compare your monitor’s reading to the office cuff’s reading. Regarding the purchase of a new home BP monitor, I would look at a website like Amazon (or another site where there are lots of customer reviews) and pick one that has a lot of positive reviews. Measuring BP in the upper arm tends to be more accurate than measuring at the wrist. I’m currently trying to find a suitable blood pressure monitor for an older person in assisted living. Since she doesn’t have a smartphone or tablet, we are considering a BP monitor that uses wi-fi, like this one. But I have never had a patient use a wireless-enabled cuff, so I can’t yet tell you if I recommend it. Good luck and I hope you’ll let us know if you find a new BP cuff that you like! My 91 year old mother with Alzheimer’s has a BP of 120/56 with 20 mg lisinopril. I am afraid that is putting her at risk of falls. She has been very unsteady on her feet with balance the last several years. I notified her Dr’s office and the geriatric nurse practioner who even visits her in her home and they tell me her numbers are “great.” Should I be concerned? I do think it’s quite reasonable for you to be concerned. Is that BP sitting or standing? If it’s a sitting BP, it’s quite possible that your mother is experiencing a drop when she stands. You don’t say how advanced her Alzheimer’s is, but if she is 91 and often seems unsteady, then it would be very reasonable to try cutting back her BP medication a bit. She will still be at fairly high risk for falls, but at least you’ll have addressed one of the risk factors that can be changed. And who knows, she may either feel better or look steadier on a lower dose of medication. – try getting a few more BP measurements at home. BP is constantly fluctuating a bit, so I generally recommend people get several readings over a week if they are considering making a medication change. – Tell the doctor and nurse that you’ve heard about the recent information regarding goal BP being in the 140s for aging adults. Let them know you really want to do everything possible to reduce fall risk, you’re worried because her balance seems poor, and you’d really like to discuss the possibility of reducing the lisinopril a bit. I AM ALMOST 81 Y/O & FOR THE PAST 18 MOS HAVE HAD FAIRLY FREQUENT FALLS. NO SEVERE DAMAGE YET, BUT I WORRY ABOUT MY LUCK RUNNING OUT. I HAVE ANOTHER VISIT WITH INTERNEST SCHEDULED FOR LATE THIS MONTH ( JULY, 2015). my concerns, sort of a “heads-up”. Currently on Norvasc & Cozzar, & will make no changes prior to seeing her, but secondary to this article from your blog, will be sure to have this concern at top of my list. Frankly I was seriously considering medications but NEVER even thought of BP studies. Fairly frequent falls, yikes! I’m glad you haven’t been seriously injured, but yes, your luck could run out, so I hope you can get some help figuring out what’s causing your falls. I would highly recommend you bring it up to your internist. Generally falls in seniors are due to multiple causes. Overtreatment of blood pressure is a common factor that probably contributes to many falls, but there may be other issues as well. Since many PCPs don’t have the time or expertise to do a careful fall evaluation, I would encourage you to take a look at what we have listed on our fall prevention topic page. Good luck and take care! Hi my Dad has started to have lot of falls which have resulted in him being hospitalised as they cannot work out the reason. In July he went into hospital as his blood pressure was really high. The consultant at the hospital decided to change his blood pressure tablets to amoplodine and ramipril 5mg. Since then his falls have got progressively worse and he cannot walk without the aid of a zimmer and a person holding him to ensure he doesn’t fall. He leans to the right and just goes. He cannot sit on a bed without falling sideways either. Do you think his blood pressure tablets are causing he problem. His average bp is 120/80. I’d be surprised if it’s only his blood pressure tablets causing the problems, especially since you mention he began having a lot of falls much earlier in the summer. The leaning over and worsening course of things sounds like something more than over-treatment with BP meds. If you are concerned about the impact of his BP meds right now, I would encourage you to check his blood pressure sitting and standing for several days in a row. Bring this information to the doctors and discuss it with them. You might also want to ask them what is their goal BP for him and why. They may be open to trying to dial back his medications a little so that his average BP is in the 130s and 140s, but obviously online I cannot tell you what his goal BP should be, I can only recommend you discuss it with his doctors and see if aiming for a little higher goal is possible. You can then see if that seems to improve the falls. Good luck, I hope you find some answers soon, and I especially hope that the situation gets better for your father and your family. Thank you for writing this article. My 85 year old father’s blood pressure has always been low, but during the last two doctor’s yearly visits, his diastolic blood pressure was a little high at 140. His diastolic is normal at 78. The nurse mentioned it was high, the doctor didn’t mention anything, but tonight, as I’ve got the phone call from the mail order pharmacy confirming the prescriptions (new medicare requirement for the patient to approve before shipping), I was surprised to find out that the doctor dialed a blood pressure medication, a diuretic, hydrochlorothiazide. I went and measured my father’s blood pressure at home and it was 134/68. I am aware that the recommendations for the elderly is only to treat at 150, and given that my father’s blood pressure is normal at home, I am afraid that this medication will cause it to drop dangerously low and lead to falls. I am going to call the office and find out why the medication was prescribed, if there was something on a blood test that caused the doctor to result it. Note, that other than the blood test (I didn’t get results in the mail yet), there was no other tests done, and my father didn’t complain of any symptoms. I’m glad you are helping your father double-check his medical care. Many doctors either don’t know or disagree with a systolic BP treatment goal of 150. Having reviewed the literature extensively, I believe that for most people in their 80s or older, a systolic BP in the 130s or 140s is a good range, and I only try to treat to a lower goal if there are other medical conditions (such as advanced heart failure) that warrant it. Some scientific evidence does suggest that there’s a small decrease in cardiovascular risk if you treat to a lower blood pressure. However, as I note in my post reviewing the SPRINT trial, the chance of benefit for an individual is small, whereas treating BP more aggressively means taking more pills, spending more money on medication, and running an increased risk of falls and orthostatic symptoms. Also, we do know that a single office-based BP measurement often misclassifies a person’s hypertension, and it’s much better to get several readings from home, as you are doing. So it’s great that you checked at home and that you’ll be informing the doctor of this information. For those interested in learning more about nutrition and supplements for blood pressure, I recommend NutritionFacts.org, which is non-profit and seems to have high-quality information. I am angry right now, so take it into consideration. But I can hardly feel any other way and be rational I think. My mom wanted a break from her “nursing home” actually one of those expensive places with “estates” on it where you are given a nice apartment as a teaser and they never have assisted living space so you end up in the nursing home area. Long story short, she was given a leave of absence with me. Of course they give me her medications and instructions with them. I bring her home to find she is on 3 BP meds. And each one is a different type. Beta blocker, ACE and calcium channel blocker. She has never even had a heart attack or a stroke. The worst thing she has ever had is hypothyroidism and arthritis/osteoporosis. The reason she wanted a break? They are telling her she can’t live in her apartment anymore because she is a falling risk now. The first thing she says to me is “they’re giving me too much medication.” The first thing they are telling me is “the family needs to make decisions for her because she is no longer functional cognitively.” Hah. I’d say she’s very sharp. I really don’t know what to do, but one of our relatives is a lawyer and I’m calling her tonight to find out how to break this contract and get her home with us. I think they’re trying to make her sick so they can resell her apartment. Claiming she’s nuts is the last straw for me. Unbelievable. I’m angry partly because of what they’re doing to her and partly because I’m scared someone will do it to me someday. It might be better to put all my money in a trust before I’m dead so nobody gets notions about it. This sort of event really makes you think. Sorry if I rambled. I was so mad I forgot to mention it.. I checked with an Omron I have at home… her BP in the past few days has been around 105/50 or 109/60, so I don’t care what the doc says I’m cutting her BP pills in half for a week. You need not publish that if you think it’s dangerous, but I wanted you to know… I’m fed up with this bs. She has only a few years, I don’t want her confused and dizzy. Wow, what a story. Sorry you and your mother have had to go through this. 105/50 does sound on the low side, esp for an older person who has been falling, but I can’t truly judge without knowing more about her other health conditions. I would certainly encourage you to document all the BPs you record. Be sure to note the pulse as well, as that’s crucial to interpreting BP, and also log the time of day. If you check BP in anything other than a sitting position, note that as well. Generally I feel obligated to tell people to not change medications on their own and instead ask to speak to a clinician. It is often possible to reduce the dosage of BP meds, and usually it makes more sense to go from three meds to two, rather than to be on small doses of three medications. Good luck! It’s great for your mom that you are being proactive about her health. I’m so grateful to you for your reply. She’s napping today a bit more than usual. The first couple of days “home” she wanted to do “everything” like walk too far, climb stairs, sit in the sun… etc, everything she couldn’t do. I think I’d probably do the same if I felt trapped like that. I kept her safe while letting her have a really good time. We had a good hug moment too, something that doesn’t happen much in nursing facilities I imagine. I’m so glad she’s here. Since the facility has come up with an indisputable compromise to get her back on site but also allow me to care for her for the next month (the maximum allowable “guest” period of time), I will seek a local GP over there to help us reduce these drugs safely, but offsite. I am calmer now. Your site is so incredibly helpful I will be using it to make her master plan when I eventually do have her home with me, but that’s not yet. Another quality of life bonus to her will be that, although I am not personally religious, I will make sure she gets to church every Sunday. She is the daughter of a Missionary preacher who traveled the world and it’s vital to her identity. I wouldn’t take that away from her. The nurses said something very nasty about her religious nature that offended me not because I’m religious (I’m not) but because it was a denial of her identity. In any case, thank you for your reply and I appreciate your taking the time to help educate caregivers. I wish I had had this when I was caring for another relative much earlier in my life. Back then, the internet was all Archie and only Yahoo was an aggregator. I’m very thankful to find your site. I’m glad the information here has been helpful. I’m even happier to hear that you are thinking about things that nourish your mother’s heart and soul; it’s very insightful of you to think of what helps her feel like her best self. Good luck working things out! My Dad is turning into a zombie because his BP is currently around 74/60. He has a pacemaker and had fluid in lungs the other week, so in addition to the Lisinopril and Coreg, he is now taking Lasix. He has lost 40 pounds over the past 8 months and is too weak to do anything. He also seem very confused and debilitated. His doctor keeps doing all these tests and says that he does have heart failure, but we don’t think it is at the extreme level. He is at the point where he says that he is willing to risk a stroke or heart attack if he could just feel halfway normal again. He is 95 and had been fairly active until he started on the medicines. Everyone has noticed a big change in him. Would an opinion from another doctor be a good idea? Unfortunately we have no geriatric specialists in our town. Seems like anything that the drug reps bring in ends up being given to him and we are starting to feel like he is an experiment. BP can difficult to manage in heart failure. That said, BP 74/60 is really quite low! So yes, I would definitely recommend you get a second opinion regarding your father’s health. He has lost quite a lot of weight, and everything you are describing sounds concerning. You could try consulting with a good generalist, or perhaps a cardiologist. However, a large weight loss like that is often not just due to heart problems, so a cardiologist may not be able to provide you with all the answers you need. Thank you for your reply. I did contact Palliative Care and they are sending a doctor this week to talk to him and work with his family doctor. Cannot understand why the cardiologist is not concerned about his low BP? We made the decision to cut out one BP medicine and his readings are much better than before. Family doctor is in agreement. We are wondering if the Lisinopril is also causing him to lose so much weight. I bought some high calorie drink mix, but the doctors all note the weight loss but never give any ideas as the the cause. Hoping this new doctor will be more helpful in that way. My own experience has been that cardiologists are inordinately concerned about high BP and usually much less concerned about low BP, even though our experience in geriatrics is that older adults often feel light-headed when BP is too low. I would encourage you to keep bringing up your concerns with the cardiologist. You could also ask what is the highest BP the cardiologist would consider acceptable. It also sounds like you will need to keep politely insisting that the doctors address the weight loss. They really should be explaining to you what might be causing it, and how they are going to investigate the possible causes. Anything is possible with medications, but it would be unusual for lisinopril to cause that much weight loss. My mother had a fall as well after she went on blood pressure medication, but I’d never thought to link these things. I’m so glad I found this article while just looking up high blood pressure articles for myself. Very interesting indeed. I’m afraid I’m going to have to go on medication as well, and I hope I don’t have the same problems. I’m relatively young so I’m hoping that will be a saving grace. I did recently go out and get an Omron series 10, and that’s proven to be a great little tool. I’ve been obsessively checking every day and I think that’s actually helping me be way more aware and therefore vigilant about my blood pressure. I’d definitely recommend picking one up. Checking BP at home has been shown to be more accurate than the usual office-based measurements. I think the goal should be less about vigilance and more about getting good measurements periodically, especially if medication changes are involved. I live in Florida and my 88 year old mother lives in Minnesota. My nearest siblings live 20 miles from her and she has 2 neighbors that check on her most every day. She gets around well an does most daily things herself without to much problem. About ten months ago she was experiencing severe pain in the hip area and went to her Dr. When they checked her BP she was in this pain and also had anxiety and aggravation caused by a well meaning person attending her checkup. She was immediately but on BP medicine. Her memory and mindset soon took a turn for the worse. This past weekend I was able to visit her and her mindset was leaning toward giving up. I reminded her of a time in her 50’s when a Dr. put her on BP meds and she had the same memory and cognitive function problems, she quit the meds back then and lived with (high) BP, as far as I know, until this latest incident. While there I dug out her BP cuff and took her BP one morning before she had taken that days BP pill, she was a bit anxious and her BP was 178/94. About an hour later, after I calmed her but before she took her BP pill, I got a reading of 148/88. She knows this medication is causing problems and expressed a desire to get off of them. I cut her pills in half for a week, and in quarters for the following week-along with written instructions she is capable of following, to ween her off of them. I also instructed her to take a daily BP reading and I am calling her daily to ensure BP does not get out of hand, and to keep her hope up; as she falsely claimed that I saved her life with my visit. I need to know if there are any problems with what I did, and how do I convince the siblings that desire(d) her to be on this medication while her BP was not being regularly checked, and with them assuming she needs this medication, that she may not need it, especially at her age? I think it is doing more harm than good. Any advice or help is greatly appreciated. Re how to figure out what BP to aim for, see this newer article: 6 Steps to Better High Blood Pressure Treatment for Older Adults. This article summarizes the recent research on what BP to aim for in older adults, and should help you identify the issues to bring up with your siblings and your mother’s doctor. Otherwise, you mention that it’s been 10 months since your mother’s memory and mindset took a turn for the worse. It’s possible that this was related to the BP medication changes. But at her age, there are many other things that can affect memory, mindset, and/or health. So I would encourage you and your family to not assume that it’s the BP meds, because it’s quite possible that there is something else. For instance usually I would check into the possibility of several other things, including side-effects from other medications, depression, untreated pain, thyroid problems, electrolyte imbalances, and so forth. Thank you for your helpful web page and taking the time to answer questions. My 85 year old Mum and I skyped last night and she admitted she has be having episodes of feeling other-worldly, like she is out of control and her legs run away independently while she feels in a daze. She likens it to the cartoon character Road-runner taking off. The last episode of three she has had over the last two weeks had her career into a wall which has caused a big egg shaped lump on her head and many bruises. She ended up in hospital two nights where she had loads of tests. They say she is a very fit 85 year old (she has walked everyday for 1.5 miles for years). She was advised this may be due to her blood pressure tablets and has stop taking that particular medication. I have read the other questions and falling seems to be a common side effect. I am just curious about the delirious state Mum has before an episode. It only lasts about ten seconds but it is very frightening. Thank you, I’m glad you find the site helpful. People do get lightheaded when they stand or when their blood pressure otherwise drops. There are also other problems that can cause such symptoms, but sounds like she had a thorough workup. Hopefully the change in medication will improve her symptoms. I would recommend that your mom keep a journal if possible, recording when she has these symptoms. If it’s related to blood pressure medication, it should come on with standing or a change in body position. For more on how your mom can work with her doctors on finding the right blood pressure treatment, see 6 Steps to Better High Blood Pressure Treatment for Older Adults. Good luck! Thank you for this discussion. My mum is 75 year old. She has a knee replacement recently and since then her BP is became lower . SHE IS IN MEDICATION for BP and BP reach to 130/56 . So the Dr advice her to stop take the medicine and then increased a bit in these ranges 130/60 145/62. I do watch her diet for a while and our food has no salt and we eat healthy green meals. Is it advisable to stop BP medication? Two days ago the Dr stoped her med. What do you think. I am worried about her even though gently she is in good health. She do have low blood counts (8) after the operation. Is this has any thing to do with lower blood pressure. She does take others medI cation to increase blood counts. If you haven’t already read it, you might find this article helpful: 6 Steps to Better High Blood Pressure Treatment for Older Adults. I can’t say what is advisable for your mom; mostly what I do through this site is share better practices in senior healthcare and help people identify good questions to ask their doctors. I would suggest you ask yoru doctor why he wanted to stop her BP medication, also what target BP does he think is right for mother and why. Several expert societies have said a target systolic blood pressure (“SBP”; that’s the top number of the BP reading) of less than 150 is reasonable for many older adults. So if her BP is 130s-140s, that would meet that goal. However some older adults have other medical conditions that mean they are likely to benefit from a lower BP. This is why you should talk to the doctor and find out what his/her reasoning is. Re her blood count, if “8” refers to a hemoglobin level of 8, that’s actually pretty low and can cause some weakness or dizziness. So that might be part of why the doctor wanted to stop the BP meds. In short: talk to the doctor, share your concerns and questions, and make sure you understand what benefits and risks the doctor thinks your mom will experience from this course of action. Good luck! I had cardiac surgery in 2004 and have been on 2X atenolol 50mg and one 20mg lisinopril for many years. Checking bp a few times weekly, about 6-8 months ago, I noticed my bp was trending downward, causing me to fall below 100/~75 and feeling tired more than usual. Without notifying my VA doctor, I started reducing the atenolol while watching bp daily and am now taking 25mg only once but leaving the lisinopril at 20mg. My bp is still often at approx. 100/~72. I am a 76 y/o male, less active than many due to my lousy balance and legs that are mostly numb. I don’t understand why my bp is trending downward instead of up as I would have expected. One’s body and metabolism can change over years, so it’s not surprising that your dose of BP meds might have to change at some point. It does sound a bit odd that you aren’t seeing your BP get higher, despite a lower dose of medication. 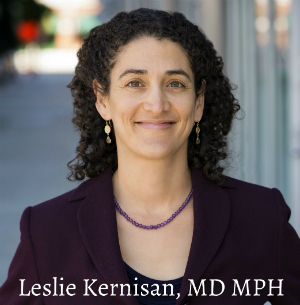 I would encourage you to bring up your concerns and observations with your doctor. There may be other issues going on, that are causing you to either have low BP or perhaps that are causing your medications to have a stronger effect than anticipated. For instance, atenolol is metabolized by the kidneys, so the drug can last longer in one’s system if kidney function declines. Don’t forget to always record pulse along with BP; doctors need to see a heart rate along with BP, in order to figure out a reasonable next step for evaluating your BP issues. Good luck! Dr, my name is Bright Morgan. Am 32 years old. My doctor placed me on BP medication named (AMLODIPINE and NORMORETIC once daily for two weeks now. Am already 10days gone at it. My BP was 180/130 when I started taking the two drugs. This morning, I woke up to visit my convenience about 3:38 am. I sat on the closet and my poo was a bit purged and my lower abdomen started aching me and I felt like “throwing up”. So I decided to get up from the water closet and clean myself, next thing I fell flat and hit my head on the tiles. I got up immediately and was weak. I laid down on my bed and later went off to work. Now at the office, am feeling cold on my head. That spot I hit on the floor tiles. What could be the reason? Am feeling slight sensation on my skul also. If you’re feeling unwell and weak enough to be falling, you should contact a doctor as soon as you can, to describe your symptoms and figure out whether you need to be seen urgently. Any number of potentially serious health conditions can cause such symptoms. Otherwise, you say what your BP was before you started medication but you don’t say what it is now. It is possible for people to be overtreated with BP medication and then feel lightheaded. So I would recommend asking your doctor what your goal BP should be, and asking to have it rechecked now that you are on medication. Doctors sometimes tell people to come back in several weeks or months for a follow-up BP check, but if you are feeling unwell, it’s a good idea to be checked sooner. Hello. Hope you can help. My mother’s GP took her off BP meds 2 years ago after 20 years on them because of the risks of falls and leg swelling. He checked her BP after 6 months but not thereafter. Mum died a few months ago of an intracranial haemorrhage. I decided to question the fact that my mother’s BP wasn’t monitored for 18 months before she died but at first the GP wasn’t forthcoming. I arranged to meet him face to face and received an apology and an acknowledgment that she should have had more regular monitoring. I feel terrible that I didn’t know she might be at risk and could so easily have bought a home cuff. I just presumed if they were removing a drug she wouldn’t be in danger. I know she may have still died of a stroke whilst on BP treatment but she suffered at the end. I feel I wasn’t vigilant enough. I’m very sorry to hear of your loss. It sounds like you might be considering yourself responsible for what happened regarding your mother’s health and her death. It’s possible that the GP really erred. It’s also possible that instead of completing stopping the BP meds, it may have been reasonable to just reduce them and be less aggressive with BP control. If you feel you really need to understand what happened medically, in order to process your mother’s death and your concern that you didn’t do enough, you would need to obtain her records and consult with a clinician who could review her case. This may or may not help you feel better. Me, I would say that no matter what happened or didn’t happen, the fact that you are thinking about this suggests that you loved her very much and tried hard to do right by her. Whatever you did was very important and, in the ways that matter most, was surely enough. Don’t hold yourself to the impossible standard of having obtained optimal healthcare for her. Almost nobody is able to do it, and it’s not a reasonable standard to hold yourself too. Instead, I would encourage you to mourn her and also to seek some counseling to help you work through the loss and any related guilt. 99% of guilt felt by family members is unwarranted, and is really a result of caring a lot and having unreasonably high expectations of oneself. Please take care of yourself and I hope you find some relief from your distress soon.